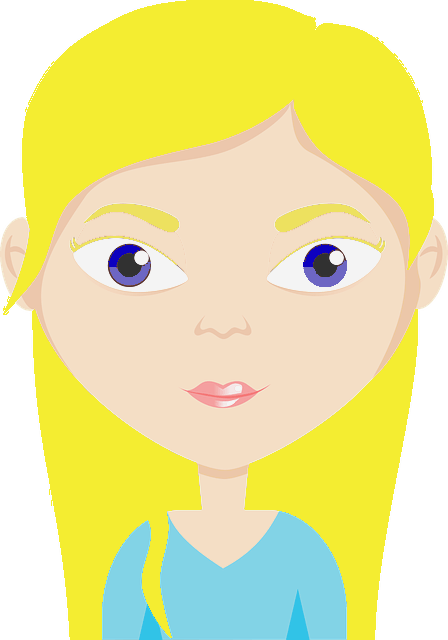 Canker sores can be quite painful. They are usually small white, yellow, or grayish and surrounded by a red border. They can vary in size from small to large. In older people, herpetiform canker sores may form, these are much smaller ulcers, about the size of a pinpoint but they come in clusters of 10 to 100 (1). Canker sores form in the mouth on the inside of the cheeks, under the tongue, and between the lips and teeth. They can be caused by a variety of things including stress, bacteria, nutritional deficiencies, an injury to your mouth, food allergies, and some women may find that they get canker sores around their periods. Canker sores also referred to by some as mouth sores or mouth ulcers aren’t dangerous although in some cases they can become infected. They aren’t contagious and generally go away by themselves but left untreated they can last longer, between a week and 2 weeks. When the canker sore touches your teeth or hot food, it can be quite painful. Getting rid of them as soon as possible is best. Major canker sores are bigger, deeper, and last around 6 weeks. You may want to see your doctor about these if they are very painful, but minor canker sores are easily treated at home without needing to resort to medications that could cause side effects. Tea tree oil for canker sores is a very effective remedy used by many because of its healing properties. 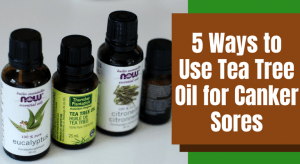 What Makes Tea Tree Oil for Mouth Sores So Effective? Tea tree oil is antimicrobial. Tea tree oil has anti-inflammatory properties. Tea tree oil speeds up healing as it stimulates the release of white blood cells to the affected area (2). White blood cells are part of how the body defends itself against pathogens and heals injuries. Tea tree helps to relieve the pain. Tea tree oil for mouth ulcers is safe and effective when used correctly. The main thing to remember is to not ingest it as it can cause horrible and even dangerous side effects. Always spit the remedy out and if you prefer to do so, rinse your mouth with water afterward. Use your chosen remedy 2-3 times a day. You can also alternate between using a tea tree oil remedy and other home remedies for canker sores. Add 5-10 drops of tea tree oil to a glass of water. Rinse your mouth with it and spit it out. This is similar to oil pulling which is a method of getting rid of germs in the mouth to prevent cavities and other dental problems. Coconut oil is usually used as it has antimicrobial and anti-inflammatory properties and in this case, helps to get rid of a canker sore (3). Mix tea tree oil and coconut oil in a ratio of 1-2 drops of tea tree oil per tablespoon of coconut oil. It might be easiest to mix this in a jar so that you don’t have to warm the coconut oil each time to mix the tea tree oil. Simply put a spoonful in your mouth and swish it around for a few minutes before spitting it out. If the mixture is solid, it will melt in your mouth. If you’ve had to melt the coconut oil to mix in the tea tree oil, let it cool down a little before using it. Coconut oil doesn’t need to be made very hot to melt it, so you can use a low heat. You can make the mixture the same way as above. Instead of coconut oil, you can also try castor oil, it’s a little thicker so it’s better for dabbing. It also has antimicrobial properties (4). Dip some cotton wool in the oil mixture and put it in your mouth so that the oil is touching the canker sore. Leave it there for a few minutes. Do not swallow, if the saliva becomes too much spit it out. After a few minutes, remove the cotton wool and spit. Dip a cotton swab into the mixture and apply some to the canker sore. It may be a little harder to keep the mixture there since the saliva that you produce will dilute it, but just keep it in your mouth. If you need to spit, then do so and apply a little more of the mixture. Don’t reapply too often as this will irritate the canker sore. After you’ve had the mixture in your mouth for a few minutes, spit it out. Raw honey and manuka honey specifically, have antibacterial properties. When honey is processed the heat strips all of the health benefits. Dilute the tea tree oil in the honey as you would the oil. Apply it either with a cotton swab or cotton wool. Tea tree oil for canker sores is very effective, but as mentioned before, tea tree oil is very strong and can have side effects if used incorrectly. It should never be ingested or used undiluted. You may also want to do a patch test to make sure that you aren’t sensitive to tea tree oil. Eat a healthy diet full of a variety of fruits and vegetables, especially leafy greens, to prevent nutritional deficiencies. If you don’t eat meat, and especially if you don’t eat any animal products at all, you will need to take a vitamin B12 supplement. You may find that you don’t get any more canker sores after this. Stress plays a huge role in the development of canker sores so make time to do things that you enjoy. Have fun and take walks in nature as this can be very calming (5). Meditation, and/or deep breathing exercises, and physical exercise is also very helpful for combating stress. You can also try herbs for stress and anxiety. If your canker sores are very large or become extremely painful, it’s best to see the doctor. It’s rare, but you may also develop some swelling and/or a fever. This is an indication of infection and you may need medical treatment. Avoid alcohol, smoking, spicy foods, and acidic drinks like coffee and soft drinks too, these will irritate your canker sore. Please let us know if these tea tree oil remedies worked for you. Have you tried using other remedies for canker sore like baking soda and hydrogen peroxide? Let us know which works best for you in the comments below!